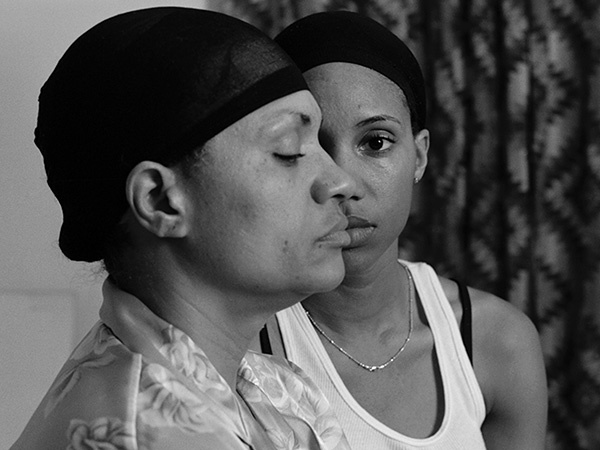 A Family Affair presents seven artists who explore personal identity and family relationships through photography, video, performance and animation: Renee Cox, LaToya Ruby Frazier, Kalup Linzy, Jacolby Satterwhite, Hank Willis Thomas, Corine Vermeulen and Deborah Willis. USFCAM is closed all University and State of Florida holidays and between exhibitions. Please check our exhibitions schedule before your visit to CAM, or call (813) 974-4133. We had big plans for the first annual USF School of Art and Art History study abroad trip to Cuba during Spring Break 2017! Our wonderful idea was to introduce students to the art and culture of Cuba through visits to museums and galleries and meetings with artists. Unfortunately, we had to cancel the program, luckily two of the three students who had signed up decided to travel independently to Cuba anyway. I went to Havana at the same time with a group of patrons, so the graduate visual art students tagged along intermittently with us as we visited museums and studios and dined in some great restaurants. The young Americans were in Havana for over a week, and had the opportunity to learn a bit about the way Cubans really live, staying in a private residence, taking public transportation, making friends with people their own age, and figuring out how to get some internet time to connect with relatives back home. The experience of daily life with all its joys and difficulties is intimately reflected in the arts of Cuba, where it is important to understand context in order to grasp meaning. Following is a thoughtful essay by Eric Ondina that reflects upon what he learned about art and life during his week in Havana. Talent is a gift that brings with it an obligation to serve the world, and not ourselves, for it is not of our making. To use for our exclusive benefit what is not ours is theft. Culture, which makes talent shine, is not completely ours either, nor can we place it solely at our disposal. Rather, it belongs mainly to our country, which gave it to us, and to humanity, from which we receive it as a birthright. A selfish man is a thief. I am not a naturally talented artist. My talent was inherited from a privileged upbringing which granted me the time to selfishly pursue egotistic fancies such as the visual arts. Yet I am not a thief. I am the progeny of a society preoccupied by the fulfilment of middle class comfort, and permeated by a culture synonymous with cynicism, sensual excess, rootless cosmopolitism, and materialistic obsession. My culture is a dark one, which as an artist I strive to illuminate. Cuba has long held a special place in my imagination, as it undeniably has with many other generations of Americans. The complex legacy of ideology and conflict (far beyond the scope of this paper) has created a semi-impermeable membrane which ostensibly inoculated the society from the metastasizing breadth of globalization. This simplistic conception is an attractive one: to the jaded millennial a society asymptomatic of materialistic decadence is a romantic ideal, for the liberal effete it is a triumph of imperialist resistance, and to the casual American tourist it remains an anachronistic novelty, an island barrio of antique Americana stenciled over with communist kitsch. Prior to my research and travels, my perceptions were equally as ill-informed. Through the study of Cuba’s past and contemporary art, I wanted to see beyond this weathered façade and enter a world both familiar and exotic, in order to better inform myself of the reality and distill the ineffable experience into my art making. This is a dialogue between the artists I have researched, their respective movements and how they have impacted my approach to art making. I began my research around the following predicament: in a nation of Soviet-modeled autocracy, how can meaningful art survive media censorship? Wouldn’t the cultural machine asphyxiate artists until they are mere sycophantic apologists to the regime? Fidel Castro outlined the Cuban government’s policy towards cultural patronage when he famously dictated, “For the revolution everything, against the revolution nothing.” The revolutionary government initially did not have trouble with dissident artists. Like many intellectuals of the time, exuberant artists eagerly extolled the virtues of the revolutionary ideals. The optimism of a bright future is apparent in the gleaming colors of graphic artist Rene Mederos, while the romanticizing of the peasant idyll is found in the work of Servando Cabrera Moreno. Artists have an acute critical awareness, but their passions often supersede sense. As Milan Kundera reflected when his country of Czechoslovakia experienced the same revolutionary fervor, “Old wrongs were righted, new wrongs were perpetrated, factories were nationalized, thousands of people went to jail, medical care became free of charge, small shop keepers lost their jobs, aged workers took their first vacations ever in confiscated country houses, and we all smiled the smile of happiness.” While society was being transformed, the seam between expectation and reality began to split. Walls were erected around artists, and many illustrated their claustrophobia into a danse macabre of brooding and grotesque imagery. Artists such as Angel Acosta Leon, Antonia Eiríz and Jorge Camacho crushed the brightly colored optimism of their peers by painting their anxieties into a Goya-esque carnival of feverish dreams. Bizarre distortions of figures shamble in frames of polluted ochre and blackened varnish, oppressing the viewer with their monolithic power. The oppressive impact of these paintings perhaps mirrored the new repressive establishment, while the deranged imagery spoke of alienation in a once again powerless people. The heavily muddled symbolism in these works obfuscates any direct critique of the state, yet their imagery still seems perpendicular to the party line. Cuban artists of the post-revolutionary period have learned to masterfully disguise their scathing resistance under layers of nuance and ambiguity. This is a skill which I have come to admire, and attempt to incorporate in my own work. Is this ambiguity duplicitous? In an attempt to boost revolutionary Marxism’s shares on the world’s cultural stock exchange, the Cuban government invested heavily in the arts. Well established artists enjoy a freedom and standard of living much higher than the average citizen, meanwhile, the international success comes at a cost. The national identity of Cuba is cultivated by their artists, but is the national identity of Cuba cultivating a redundant cliché? I have observed many contemporary artists in Cuba who seemingly work in a centrifuge, rotating around the same nucleus, stuck on a path of orbital decay. How can artists reach escape velocity without pandering to international buyers who fetishize a trope-ish third world aesthetic or being sterilized by the censorship bureau? Some Cuban artists are growing bolder in their criticisms, seemingly baiting the government to take action. Are they begging for a “Streisand Effect?” (A situation where attempting to remove, or censor a something ends up publicizing it more widely.) This is a glorious rite of passage for any artist, it made Piss Christ a household name and Ai Weiwei a superstar. Yet when Angel Delgado defecated on a state newspaper during a public art performance, he was incarcerated and neglected by his community. Wanton sacrilege is not the Cuban way: in a powerful installation by the artists of Grupo Punto called All those Who Have Quit Are the Mortal Enemies of Those Who Continue to Work, they provoked the government by filling a room with shoes, which visitors then absconded with. Controversy is a commodity which can be exported, but the discriminating artist would do so for the right reasons. Paradoxically, the postmodern era is obsessed with authenticity, but undecided as to its real meaning. In my approach to authenticity, I wanted to find art which conveys meaning in a form closest to the soul, a soul exhumed from the stratified layers of consciousness and inhibition. I seemingly found this in the art of the Afro-Cuban and Naïve Artists. In particular, the work of Manuel Mendive. His work envisioned a universe, exotic and esoteric, where the natural world is swirling in colors and anthropomorphic beings conjure an animistic ceremony. He illustrates a spirit world whose cyphered language was lost to time. In Regla de Ocha ceremonies the human beast of burden turns ecstatic when the Oricha mounts its steed. The mind is raptured and the body flails in corporeal glossolalia. Surely art made in this community contains a subconscious purity, but even the Master Mendive has a degree from the prestigious Academia de Artes Plásticas, and his strident paintings seem saccharine and formulaic over time. Art as a purely spiritual invocation may not be possible, but the art of Belkis Ayon and Jose Bedia allow us to glimpse into a world forbidden to the uninitiated. Their art summons the spirit, wild and enigmatic, but the intellect reigns it in, guiding it to the viewer as an identifiable language, contemplative and contemporary. This guided research trip has influenced my work in countless ways. My artistic process is often blocked up, so I must continually digest conceptual fiber to produce…work. My research forced a powerful internal movement which has yet to pass. The most obvious change is stylistically. I began as a painter of baroque excesses, bragging my technique through painterly FX over a composition of conflated didactic narratives. The primacy of emotion over intellect, the power of less, and the importance of nuance are just some of the traits Cuban art has impressed upon me. As an artist making it in the Trump era, there is much to be gleaned from how Cuban artists have managed their political dissent. American artists and activists are often cavalier, attempting to shocking the status quo through ever escalating acts of desecration. But shock is cheap, and the vulgarity of flash in the pan stunts is cowardly, as it only panders to the base and ineffective since it pushes the rest away. Cuban intellectual subtlety, born out necessity by a censorious state, is an aspect we should incorporate to counter the raucous mayhem of our mass media rhapsody.